A trip into the disused Brompton Road London Underground station closed to the public since 1934. 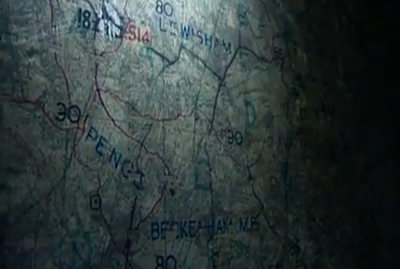 You can see some of the levels, including the anti-aircraft control room which was in use in the Second World War. 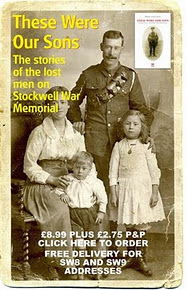 Hats off to the Stockwell News for following us. We like his Style - but want him closer to the project. 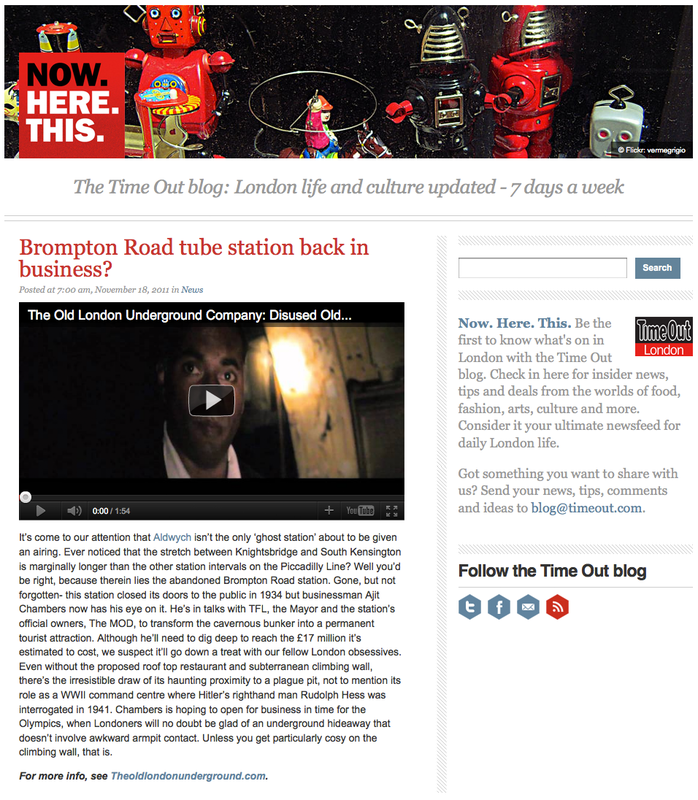 Annie Mole, Prolific London Underground blogger, joins us for a site visit to Brompton Road tube station. We are pleased to announce that Annie is working with us as our Social Media Consultant, a valued team member bringing a wealth of knowlege and years of expertise to the project. Chambers met on Wednesday with London Mayor Boris Johnson to discuss the plan. 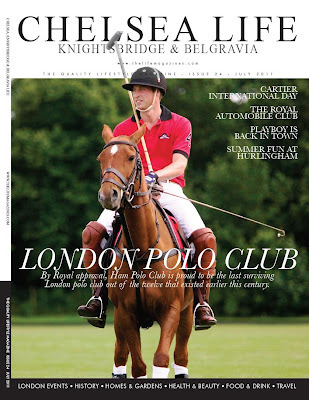 The former banker is hoping to have the Brompton Road site open in time for the 2012 Olympics. A restaurant and a climbing wall could help turn a former tube station into a tourist attraction in its own right. 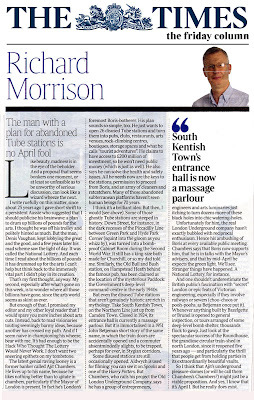 Brompton Road station in Knightsbridge closed in 1934, but now a former banker, Ajit Chambers, is hoping to lease it, and several other former stations, from the Ministry of Defence. 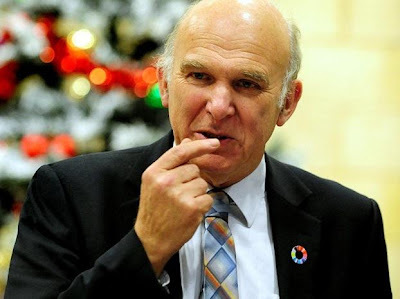 He is also in talks with Mayor of London Boris Johnson, as Transport for London owns the network, to support his plans. 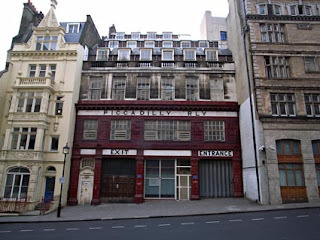 The mayor’s office revealed that Boris Johnson had discussed the plans with Chambers at the weekend, with the conclusion that more details would be put forward on potential sites and the level of work required for the renovation plans. He revealed that he is aiming for a pre-London 2012 opening for the first site - Brompton Road station, which has been out-of-use for several decades. The MoD-owned site served as an anti-aircraft base during the Second World War. 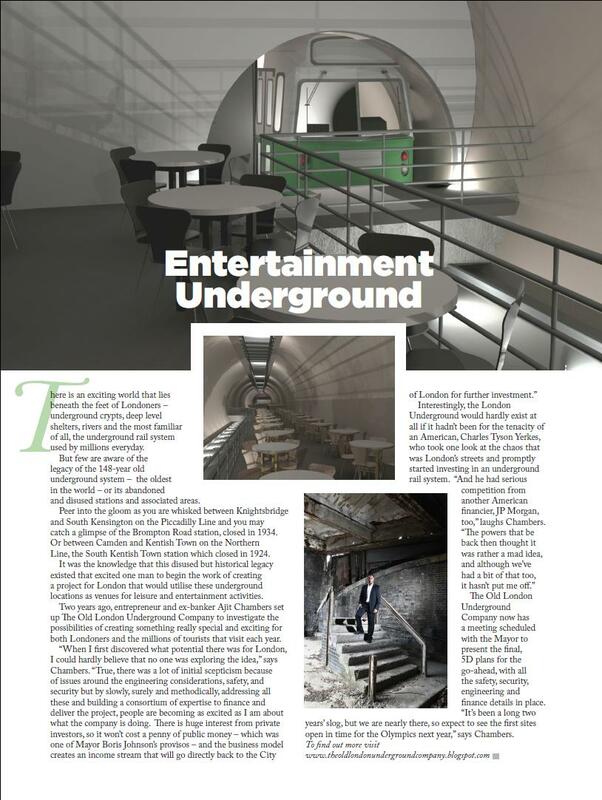 The Old London Underground was founded by Chambers two years ago in a bid to breathe new life into forgotten sites. The renovation plans would see a members’ club opened at the site. 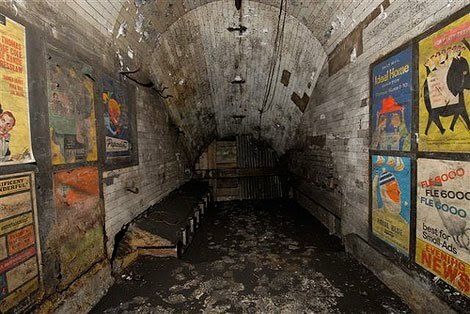 A former banker has unveiled plans to transform London's abandoned Tube stations into tourist attractions, which could see restaurant jobs being created in the capital. 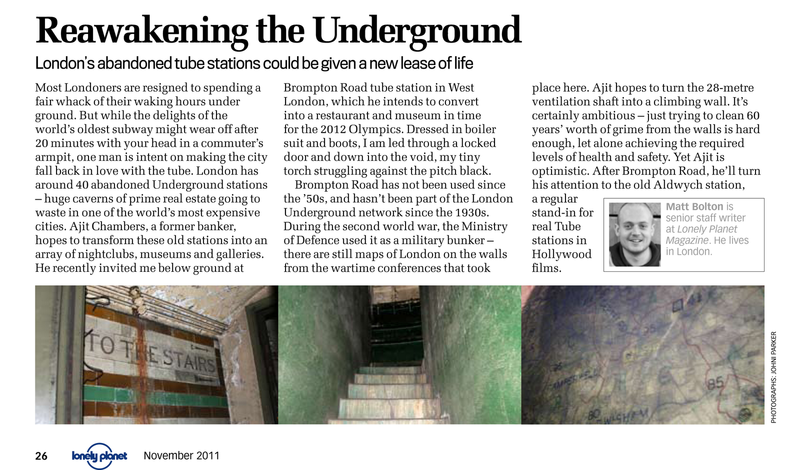 Ajit Chambers has teamed up with the Ministry of Defence (MoD), which owns the disused London Underground stations, to try leasing some of the sites, the BBC reports. He is also in talks with London mayor Boris Johnson over plans to redevelop the likes of Brompton Road, which closed in 1934. 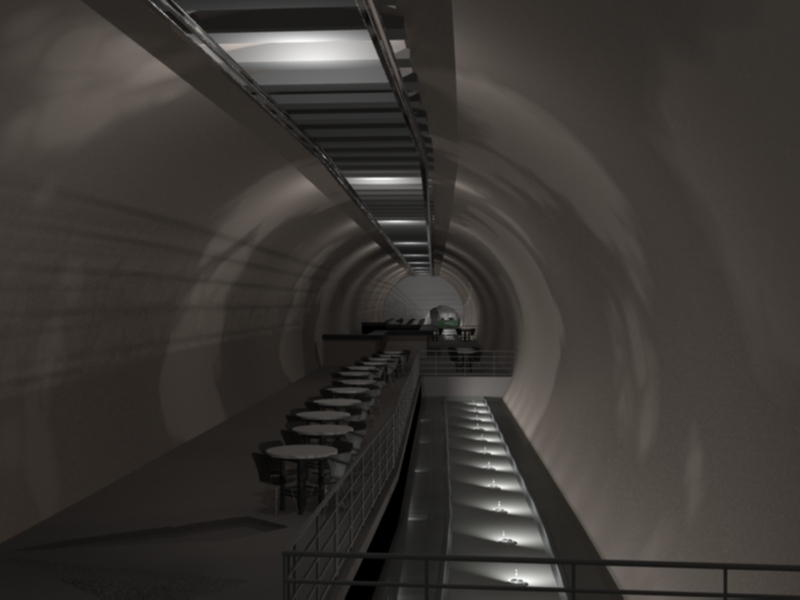 As well as creating chef jobs with underground restaurants, the stations deep-drop shafts could be used to install climbing walls, said Mr Chambers. "Imagine the history and the historic meetings that went on here," he told the BBC. It is thought that Adolf Hitler's deputy Rudolf Hess was brought to Brompton Road station to be debriefed after his capture in Scotland in 1941. This month the official opening of Nigel Mendham's restaurant THIRTY SIX has created several waiter and chef jobs in the capital. London’s got many ghost stations that you won’t spot on the tube map. 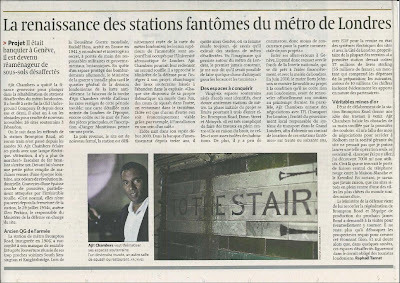 Shruti Tripathi took an exclusive tour of the disused Brompton Road station- which might well be the next coolest pub or wedding venue. 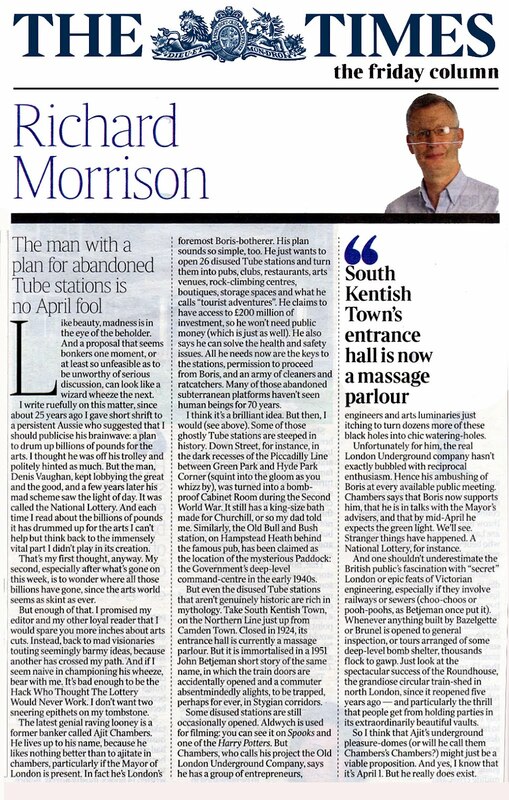 A former JPMorgan Chase & Co. executive aims to turn 26 unused London subway stations and bomb shelters into shops and tourist attractions after raising 200 million pounds ($319 million) from investors. Ajit Chambers, chief executive officer of Old London Underground Co., met Mayor Boris Johnson yesterday to discuss the plan. Chambers agreed to provide more information on potential sites, costs and the work needed to convert the stations, according to an e-mail from Johnson’s office. 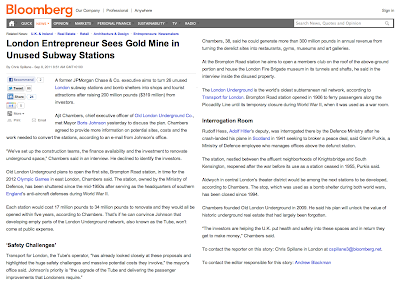 “We’ve set up the construction teams, the finance availability and the investment to renovate underground space,” Chambers said in an interview. He declined to identify the investors. Old London Underground plans to open the first site, Brompton Road station, in time for the 2012 Olympic Games in east London, Chambers said. 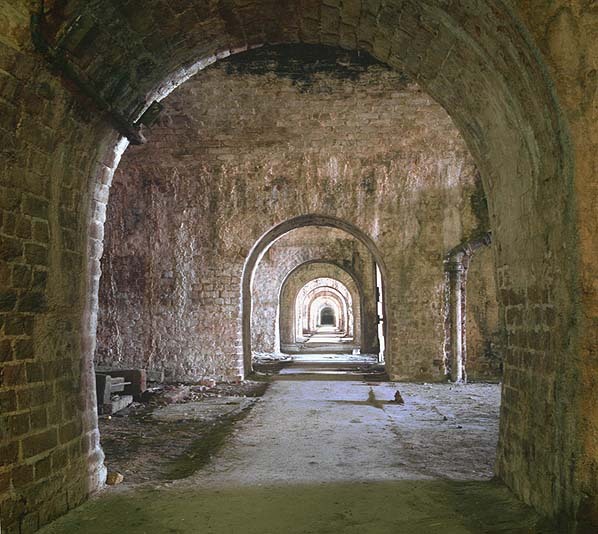 The station, owned by the Ministry of Defence, has been shuttered since the mid-1950s after serving as the headquarters of southern England’s anti-aircraft defenses during World War II. Each station would cost 17 million pounds to 34 million pounds to renovate and they would all be opened within five years, according to Chambers. That’s if he can convince Johnson that developing empty parts of the London Underground network, also known as the Tube, won’t come at public expense. Chambers, 38, said he could generate more than 300 million pounds in annual revenue from turning the derelict sites into restaurants, gyms, museums and art galleries. 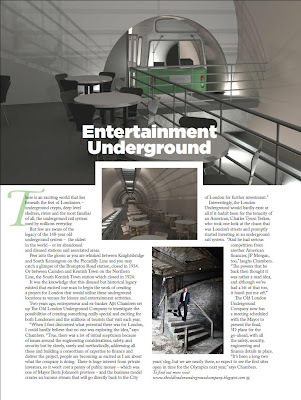 At the Brompton Road station he aims to open a members club on the roof of the above-ground portion and house the London Fire Brigade museum in its tunnels and shafts, he said in the interview inside the disused property. The London Underground is the world’s oldest subterranean rail network, according to Transport for London. Brompton Road station opened in 1906 to ferry passengers along the Piccadilly Line until its temporary closure during World War II, when it was used as a war room. Rudolf Hess, Adolf Hitler’s deputy, was interrogated there by the Defence Ministry after he crash-landed his plane in Scotland in 1941 seeking to broker a peace deal, said Glenn Purkis, a Ministry of Defence employee who manages offices above the defunct station. 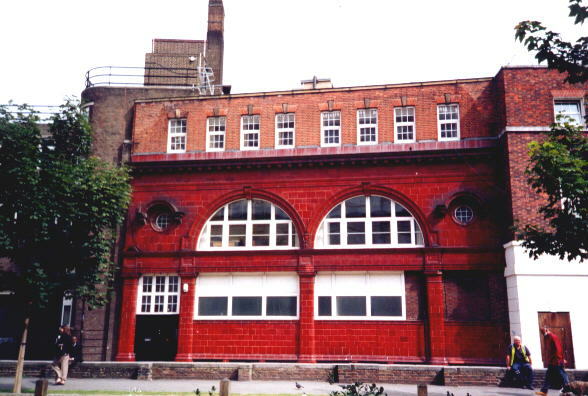 The station, nestled between the affluent neighborhoods of Knightsbridge and South Kensington, reopened after the war before its use as a station ceased in 1955, Purkis said. Aldwych in central London’s theater district would be among the next stations to be developed, according to Chambers. The stop, which was used as a bomb shelter during both world wars, has been closed since 1994. 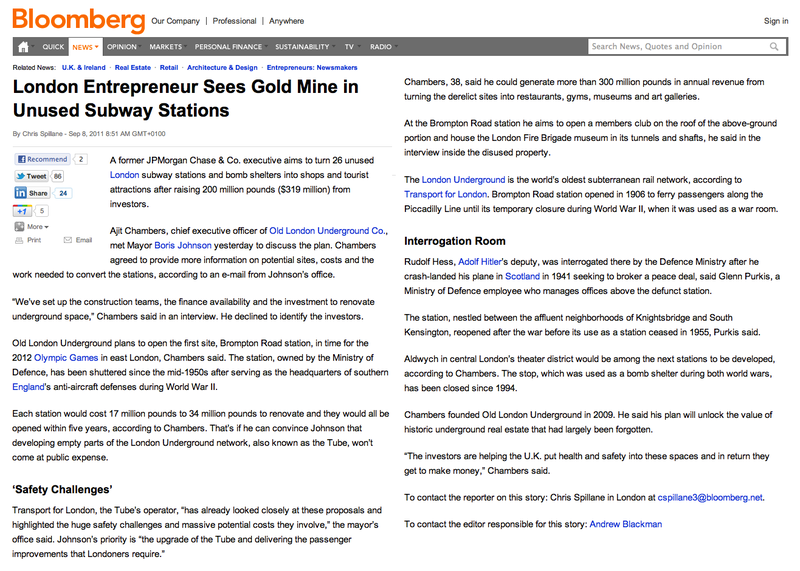 Chambers founded Old London Underground in 2009. He said his plan will unlock the value of historic underground real estate that had largely been forgotten. “The investors are helping the U.K. put health and safety into these spaces and in return they get to make money,” Chambers said. Love it or loath it, the London Underground is one of Britain’s great institutions. 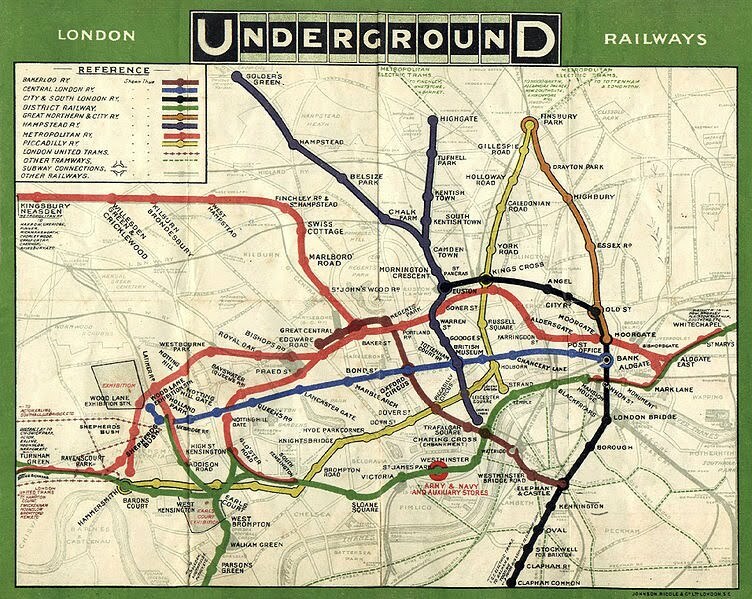 Millions use the Tube every day and the map of the world’s first underground railway is considered to be one of the finest pieces of twentieth century design. But amidst this labyrinthine network over 40 Underground stations remain frozen in time, closed due to lack of passengers – some of which haven’t felt a human presence for over a hundred years. But plans are now well underway to give the world’s oldest subterranean railway tunnels a new lease of life. 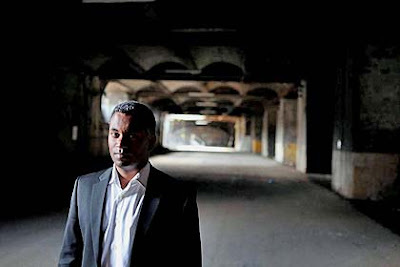 Former banker Ajit Chambers, founder of The Old London Underground Company, has earmarked 26 Tube stations across London for redevelopment. Well, the simple explanation for 5D BIM (Building Information Modeling) is – a three dimensional software-based representation of the construction project, incorporating the fourth and fifth dimensions of Cost Planning and Schedule Planning with all their intricacies such as quantities and resource linked to the graphical model in their relevant planning/project management charts - with the ability to introduce change and see its effect on multiple work streams. The Old London Underground Company (TOLUC)’s founder, Ajit Chambers foresees the development of ‘cost effective 5D BIM’ and agrees with Paul Morrell, the government chief construction advisor when he mentions BIM becoming mandatory on all future government projects within 5 years. "One of the challenges in sourcing investment for large scale engineering and building works is to be able to demonstrate to stakeholders the engineering requirements, work schedules and costs over a time scale and then present these in an accessible and visible way. TOLUC was no exception in needing to source this sort of expertise ready for its presentation to Mayor Boris Johnson, also Chairman of TfL, and has chosen Rapid 5D for this task." 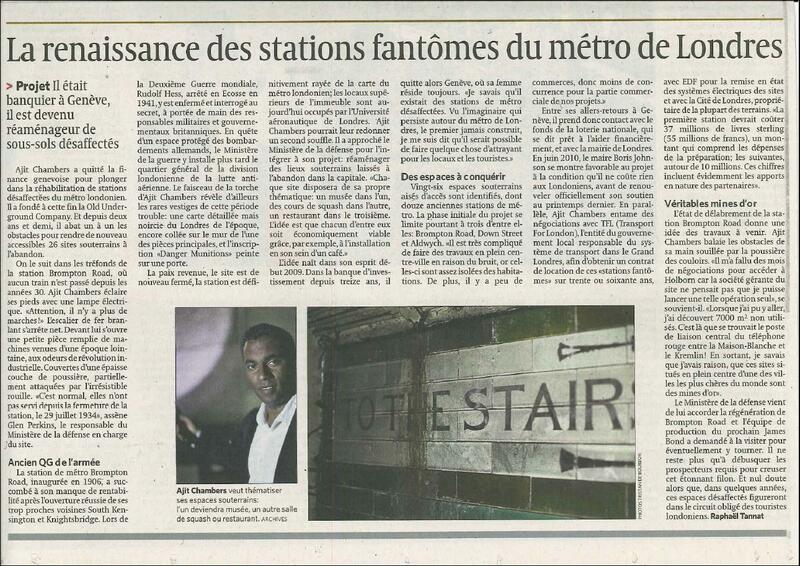 "Our first step was to model the project site, in this case one of the currently disused stations. Using 2D plans to recreate the station in a 3D and BIM environment, we then used software that enables us to map the cost plan and other variables such as resource and quantities. This provides 5D visibility on the project, supporting the risk management process, making it possible to track cost allocation and time scales, ensuring a fully integrated and totally visible construction management package for TOLUC." During the Talk London public meeting, as always well hosted by Nick Ferrari from LBC (on the 2nd of June 2011) Ajit asks The Mayor of London if he would consider holding our previously arranged meeting at the offices of The Old London Underground Company instead of in the Mayors office. During this meeting the Mayor (also the Chairman of TFL) will be shown the inner workings done over the past two years that have led to this Legacy Project including our current use of 5D BIM which will be mandatory on virtually all government construction projects within 5 years. We will also make visible our financial model that funds a consortium of companies to create sites beneficial to London 'at cost' in the early stages of the project, before their profit margins appear during the recovery where inclusion of foreign investment will bring significant revenue into the capital. 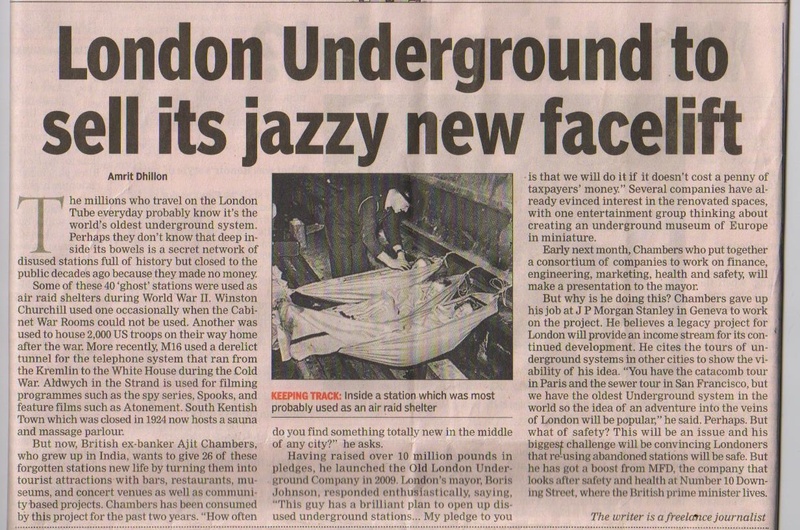 News of The Old London Underground Company reaches Delhi, home to the newest underground train service in the world, and the Times of India runs a short piece interviewing Ajit Chambers on May 22nd 2011. The American investor Charles Tyson Yerkes is very similar to some of the investors the The Old London Underground Company is in contact with today. 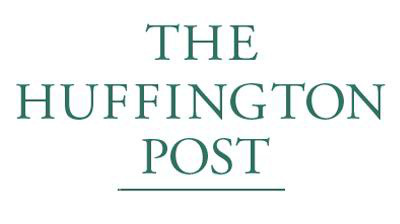 Forthright, hard working and visionary in their concept of suitable investments. Who knew that this name would go down in the annals of London Underground history when this American financier arrived here in 1898, took one look at the chaos of London's streets, and promptly bought a large interest in the District Railway. This was a man who had cut his transport teeth in Chicago where he'd developed the tramway and suburban railway systems, but where his dubious business practices (for want of a better description) also meant he'd left that city in a hurry and with $15 million in cash in his pocket. For Yerkes, the electrification of the underground railways was his goal and it was his vision that accelerated the development of what is today's Tube service. In 1900 he added another interest to the District line, this time in the yet unbuilt deep-level underground line, the Charing Cross Euston and Hampstead Railway company (now the Northern Line), paying £100,000 to the company, obtaining parliamentary authorisation and become the company's chairman. The following year he had full control of the District line and formed a new company, the Metropolitan District Electric Traction Company in 1901, raising most of the £1 million investment in America, the Brits still being rather wary of this new-fangled electrification idea and its American proponent. Six months later, the MDET gained the Brompton and Piccadilly railway, followed by the Baker Street and Waterloo line (now known as the Bakerloo Line) in March 1902. 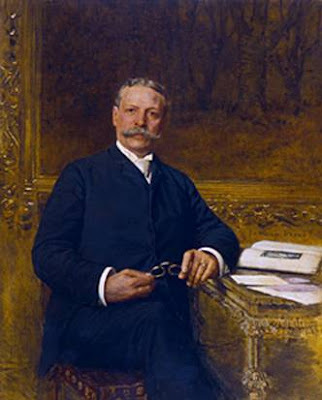 Along the way, Yerkes had serious competition from another American financier, J P Morgan, who was also trying to make a fortune from the London Underground railways. But Morgan's aims were to be thwarted, as further investment raised by shares in a new company created the latest of Yerke's businesses: the Underground Electric Railways of London. It was to take another three years before the first successful trial run of an electric train was to take place in 1905, from Mill Hill Park (Acton Town) along the southern section of what later became the Circle Line. But this was just the start. This American's visionary and ruthless approach revolutionised the development of the London Underground, and in less than 10 years. Sometimes it takes an outsider's energy and nerve to show us what needs to be done, and this is certainly true of Charles Tyson Yerkes. London's transport system owes a huge debt to this American who saw the wisdom of investing in this key element of the city's infrastructure. Today, The Old London Underground Company is asking others to see the possibilities that exist to renew the historical legacy of a vision like Yerkes's and create a whole new opportunity for London. The 1908 Olympics were scheduled to be held in Italy, but after Mount Vesuvius erupted in 1906, they were transferred to London and held at the newly built White City Stadium. But it wasn't the only big event in London in 1908. The Franco-British exhibition, also held at White City, attracted 8 million visitors. 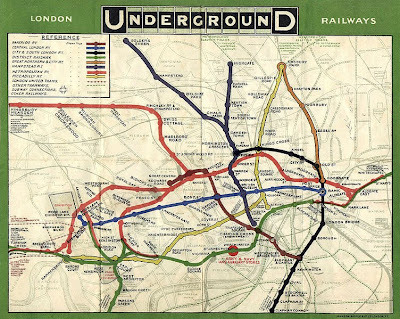 London is no stranger to large events, and the London Underground has always played a big part. Scroll forward to 2011 and all the preparations for next year's Olympics in London, along with the city's extensive new Crossrail Link. Scroll back and it's interesting to note the numbers of 'missing' Tube stations that have closed during the 103 years between 1908 and now. White City, which opened as Wood Lane (Exhibition) Station on May 1st 1908, temporarily closed between 1914 and 1920, then reopened at Wood Lane (White City) before being renamed White City on November 23rd 1947, before finally closing on October 25th 1959. It wasn't until 2003 however, that the last remnants of the station building were demolished. 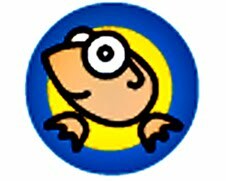 For example, York Road and Down Street (on the old, yellow Piccadilly line); Chancery Lane and British Museum (on the old, blue Central line); and South Kentish Town (on the Hampstead, now the Northern line). The Tube has an extraordinary legacy of engineering, architecture and innovation, and it is this legacy that The Old London Underground Company is working towards revitalising, planning to utilise an extraordinary resource for the benefit of Londoners and its visitors. 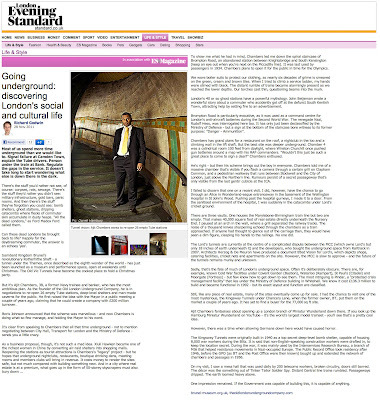 "This guy has a brilliant plan to open up disused underground stations... My pledge to you is that we will do it if it doesn't cost a penny of tax payers' money..."
See the full exchange between Ajit Chambers and Boris Johnson in the video above. It has captured the imaginations of native Londoners, and those who visit the city, since it first opened almost 150 years ago. Its huge infrastructure of tunnels and underground stations has shored up the capital and sustained it during peacetime and war. 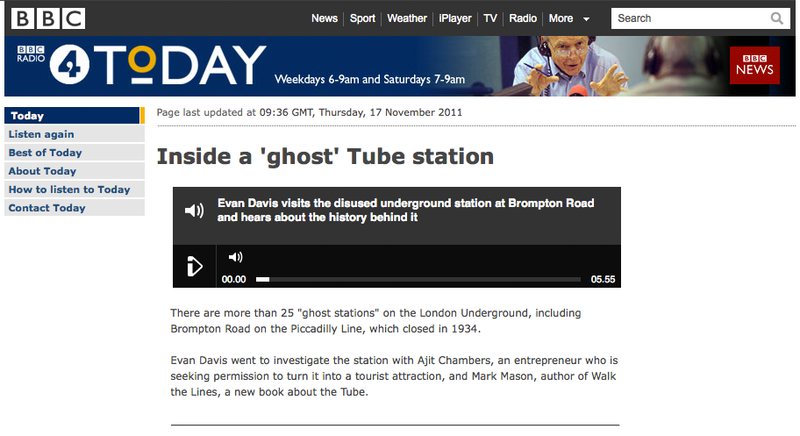 Today it's known as the Tube. But there are currently 26 disused stations around London, with an initial 12 that lend themselves to the innovative use for music, arts, theatrical and fashion events, proposed by The Old London Underground Company (TOLUC), the brainchild of entrepreneur Ajit Chambers. "The idea is, there's an adventure just below our feet. It's fantastic down there, and one of London's assets that should be exploited for everyone." Two years in the planning and consultation, TOLUC has designed a business model that will realise the untapped potential of these resources. TOLUC's business plan show a consortium of companies with agreements that form an achievable delivery plan. This is a win-win opportunity for a city currently balancing the effects of a global economic recession while having to accommodate the demands of a Royal Wedding and next year's Olympic Games, while maintaining a system that serves 3.5 million daily journeys. Without financial risk, the Mayor of London and TfL can utilise this unique asset that will provide much needed income for London, create positive publicity and opportunities for investment and jobs, while helping support the Leisure & Tourism industry (a growth area) during a global recession. The Old London Underground Company meets with The Camden Railway Heritage Trust to assist with the Camden Catacombs. The subterranean chambers were traditionally built for the burial of bones and many cities have them, snaking along underneath the streets, often open to the public as tourist attractions. You can find catacombs in Lima, Odessa, Paris, Palermo, Alexandria and even Edinburgh. But you won't find ancestral bones in the ones in Camden, they were designed for a very different purpose. These underground chambers were built in the 19th century to house the horses and pit ponies that used by the railways to deliver and pick up goods for transportation. An extensive network of tunnels, from Euston mainline station all the way up and under Camden Lock market, and the Primrose Hill rail depot. You can trace the route via iron grills set into the roads, allowing light and air into the network of underground tunnels. There is even an underground lake, or canal basin, providing water and - probably unintentionally - access to urban adventurers who like to enter the tunnels in this way and do their own, unauthorised, exploring. The Camden Catacombs - another example of London's extensive portfolio of underground spaces that The Old London Underground Company are assisting. 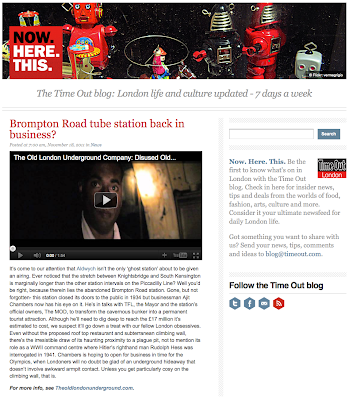 The Old London Underground Company - meets the Director of the Brunel Museum. The Old London Underground Company have offered assistance with sponsorship and financing to the Brunel Museum to make sure that this feat of engineering is protected historically and not solely used as a transport link. The first tunnel, the Thames Tunnel, which opened on March 25th 1843, was hailed as the "Eighth Wonder" of the world. It connected Rotherhithe with Wapping, and was built between 1825 and 1843 by Marc Brunel, father of the more famous Isambard. 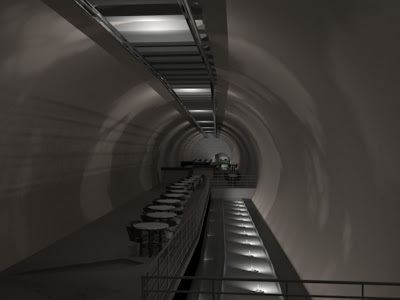 The tunnel measures 35 feet (11 metres) wide by 20 feet (6 metres) high and is 1,300 feet (396 metres) long and runs at a depth of 75 feet (23 metres). 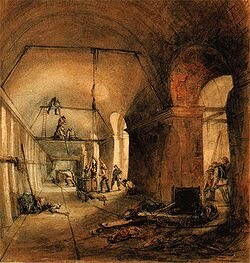 Its excavation was extremely hazardous: the tunnel was prone to flooding, and six men died in 1828, it also exposed its workers to "foul air" which caused fevers. The work was then abandoned for seven years, until in 1834 Brunel succeeded in raising sufficient money to start work again. It cost a fortune to build and was never a financial success. Designed initially for use by horse-drawn carriages, lack of funds meant that it ended up as a foot tunnel only. In 1865, it was bought by the East London Railway Company and was eventually absorbed into the London Underground (Tube) network and is today, after its re-modelling and reopening in 2010, as part of the East London line extension - and, bizarrely, an underground part of the new London Overground. The Thames Tunnel is, however, one of at least 20 tunnels that run under the river today -more than in any other country or capital. 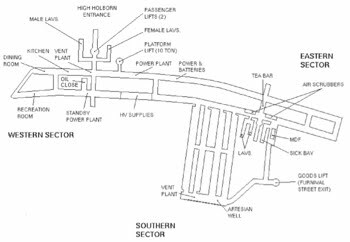 There are 12 London Underground tunnels (9 in use, and 3 disused), three road tunnels, two foot tunnels (the Woolwich foot tunnel and the Greenwich foot tunnel), eight service tunnels, and two BT tunnels. It's easy to forget that there was a time before the London Underground transport system, when traffic was even more congested than today, and pollution from horse droppings and industrialisation meant that 19th century London was a filthy city almost at a standstill. 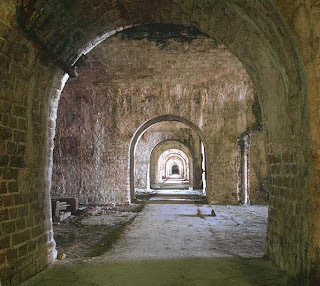 London has always had an underground life, from its many crypts and tunnels to its numerous underground rivers, since the Romans, and this can be seen in the remains of a military fort beneath the Museum of London. 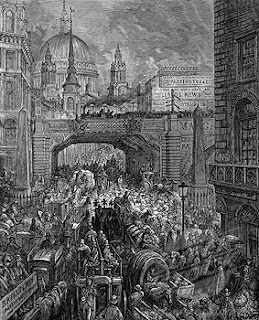 To go underground in an attempt to ease the disastrous effects of the post-industrial revolution on London, when as a city its population more than doubled from under 1 to over 2.5 million in 50 years between 1800 and 1850, seemed an obvious solution. 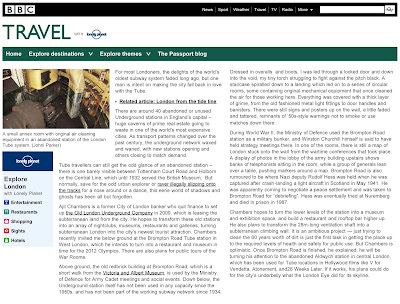 Historically, the person credited with the first idea for underground transportation in London was one Charles Pearson who, in 1845, published a pamphlet that suggested using the Fleet River, which runs underground from Hampstead via Kentish Town and Farringdon to join the Thames at Blackfriar's Bridge. In fact, Farringdon Road is the Fleet valley under which the river runs, and Holborn Viaduct was built to cross it. 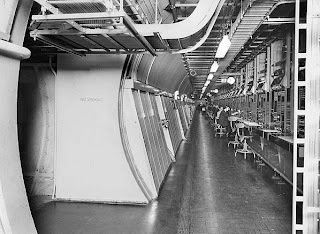 Pearson's idea was that passengers would be transported by trains in some sort of fantastical glass tunnel. Engineering was a big feature of progress in Victorian England. Following the "Big Stink" of 1858, civil engineer Joseph Bazalgette designed an underground sewage system of 450 miles of main sewers, and 13,000 miles of interconnecting local sewers, which remains the mainstay of our system today. Bazalgette, by then knighted, went on to work on the Blackwell tunnel, now borrowing under the Thames itself. The scene was set. Finally, the parliamentary bill received Royal Assent, but funding was still to be found. The work was to be executed by one John Fowler, from Sheffield who had cut his teeth on the railways of Yorkshire and Lincolnshire, and finally in 1860 work began on the world's first underground railway system, the Metropolitan line. Using a system of "cut and cover" roads were literally dug up, railway tunnels cut out, and then covered up and the roads replaced. Hugely labour intensive and disruptive, it took three years to complete the first track which ran from Bishop's Road, Paddington to Farringdon Road, finally opening to the public on Saturday January 10th 1863. The Old London Underground Company started proceedings regarding the future of The Kingsway telephone in 2009. The exchange didn't start life as a telephone exchange. It started life as the Chancery Lane station on the Central London Railway underground line, built between Shepherd's Bush and Bank, and opened on July 30th 1900. Forty years later, Chancery Lane station was designated one of the city's "deep shelters" designed to withstand the onslaught of the Blitz during WW2, opening in March 1942 and providing safe shelter for up to 8,000 people at a time. In 1945 it became the home of the Public Records Office until they ran out of space two years later, and had to find an alternative home. 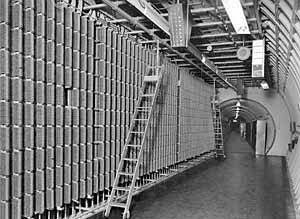 So in 1949 it was agreed that what had been the Chancery Lane station/deep shelter should become a new home for the Post Office's main telephone exchange. This required more excavation, extending the tunnels and enlarging the premises to accommodate what was called "a telephone city under London". 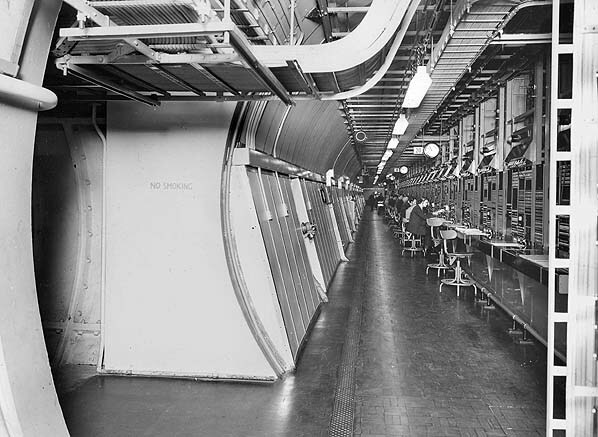 Opening for business in 1954, 100 feet below street level, the Kingsway trunk exchange was a fully self-contained, air-conditioned home for its 200 workers complete with restaurant and bar. It had its own water supply from an artesian well, and fuel tanks that held enough to keep the generators going for six weeks. Automatic routing was provided for over 6,000 calls at any one time, and also provided the "hot line" that connected US and Russian presidents during the Cold War. What's more, between its opening in 1954 and 1966, the Kingsway exchange remained completely secret. Even in the 1980s its full use remain discreet, and it wasn't until the late 1990s that it was decommissioned and finally, in 2008, became surplus to BT's requirements.